This range of MENTOR Illuminated Switch Caps and Signal Indicators is for use under a membrane overlay only. Other ranges suitable for use within enclosures are available. This extensive range of Illuminated Caps utilises MENTOR’s light guide expertise to deliver totally homogenous illumination. The caps are unique in that their faces are proper light guides, offering full-face illumination with no hot-spots. 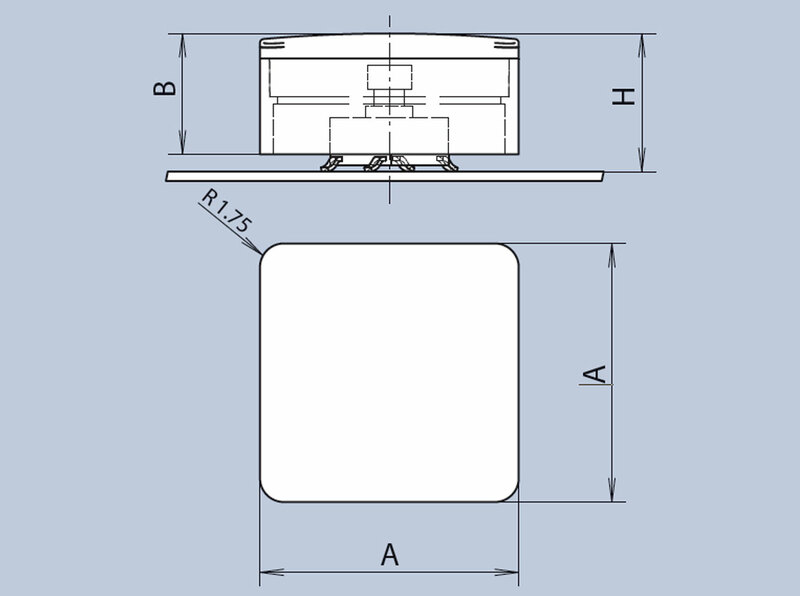 A number of dimensional variations are available as standard stocked parts. MENTOR's ground-breaking approach offers the illuminated caps separately from the pushbutton switches and single colour or RGB SMD LEDs. This principle is illustrated by the image to the left. The SMD tactile switch and two LEDs are soldered onto the PCB and the full-illumination cap is pushed onto the square switch head. RGB LEDs can be specified to provide an infinite colour choice. 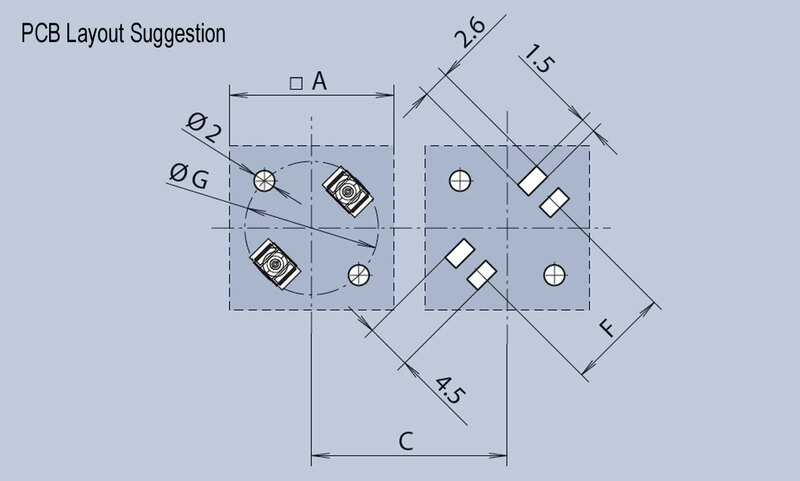 Optional additional point illumination is available to indicate subtleties of switching states. 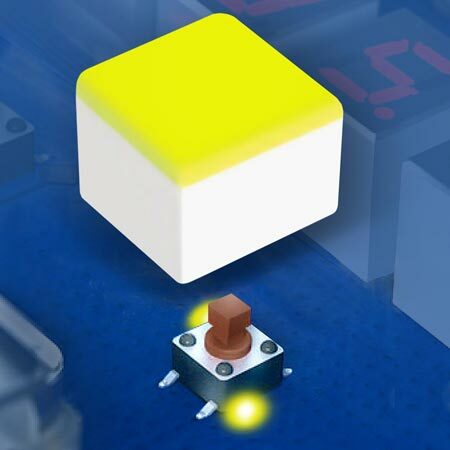 MENTOR offers its own pushbutton switches, but both the switches and LEDs can be sourced from other manufacturers, offering flexibility of supply. 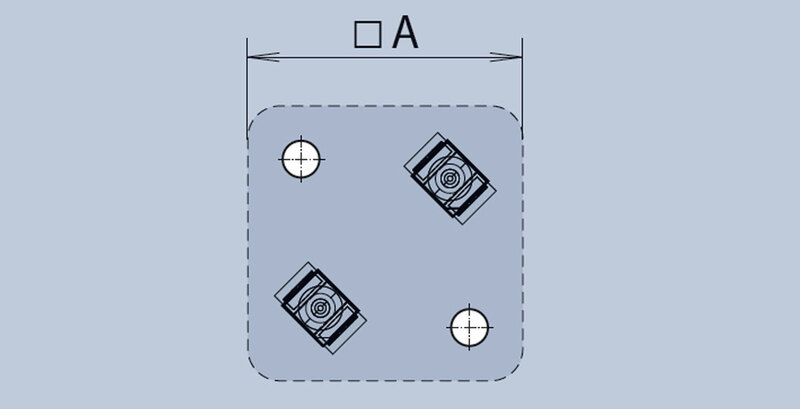 Designed for applications where a switching function is not required, MENTOR’s Illuminated Signal Indicators are similar in look and dimensions to MENTOR’s Illuminated Switch Caps, described above, so mixing both types on the same keypad is an option. Again, totally homogenous, full-face illumination is provided from just two single colour or RGB SMD LEDs to provide an infinite colour choice and optional additional point illumination is available to indicate subtleties of switching states. 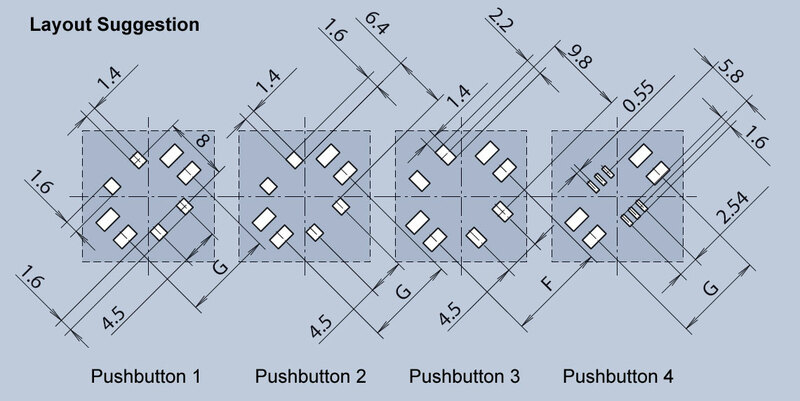 The switch caps can be used with short-stroke pushbuttons (see layout suggestion) and are available in two standard sizes and heights. Special sizes are available on request. 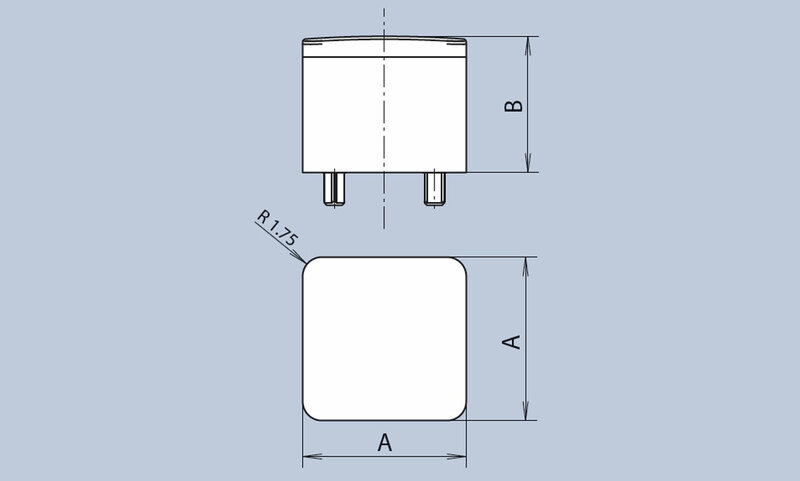 The signal indicators are available in two standard sizes and heights. Special sizes are available on request.